Health and Skin Benefits of Green Tea. In this post at the end you are getting well aware about the Benefits of the green tea for the skin and overall health. There are two types of the tea one is green and other is green, that is not very much popular in this world. Green tea is full of antioxidants. so you can understand how much beneficial it is for the overall development of the body. It mainly beneficial for the skin UV Protection and also work well for the anti aging. It is also helpful for protection against the Sun burn and tanning. It is also proven as good for preventing the Skin cancer. It also helps against the inflammation. It is full of the antibacterial contents. 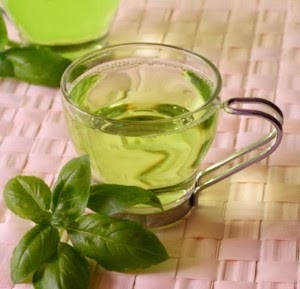 Green tea is full with cure about the anti aging, anti bacterial ,anti inflammatory, antioxidant and anti viral. Tea can be used as a mask, this mask is more direct to the skin and it will directly prevents the skin tanning ,pimples, acne and pigmentation problems. Green teal reduces weight, recent research in this field have put some facts that it is very helpful for reducing the extra weights. It depends on your daily consumption. If you consume green tea daily then it is very beneficial for the bone, chances of the osteoporosis is become less if you use green tea in the morning. If you are facing problem with the cavity in he tooth then you have very good news that green tea is the substitute by which you can save your tooth from the captivity. Some research evidence also show that it is also helpful for reducing the risk of the heart related diseases. If we conclude than some good facts about green tea as compared to the black tea that we are daily taking, first point is it is high in oxcidants contents, good to consume more if you love to drink tea more than 2 times in a day. You can use green tea after use as a mask but don't use sugar mixed green tea mask it can harm you skin just wash it with the fresh water then apply its mask on face. It is more good as compared to the daily intake of the coffee and the black tea. Yes I knew these facts because I asked google some time ago... also good as a mouth wash and good for your teeth and gums.